Sound Byte Control lets you control a copy of Sound Byte running on a remote computer from your Android device. All 75 carts (sound recordings) on the active Sound Byte rack are displayed. Just tap an entry, and playback starts. You can tap it again to immediately stop playback, or let it naturally end. Best of all, Sound Byte Control is Free! All you need is a copy of Sound Byte which runs on Windows and Macintosh computers. Here's the set by step instructions to configuring Sound Byte Control and. Sound Byte. Run your copy of Sound Byte. Please download a copy of Sound Byte if you don't already have one. Be sure to drag some sound files into the rack. You'll need to enter in a port number. It must be larger than 1024, and not in use by any other server software on your computer. We find that 3456 usually works well. Take a note of the Local IP address, you'll need to enter it, and the port number, into Sound Byte Control. Click OK to close this window and save the settings. Make sure you have your rack open in Sound Byte. 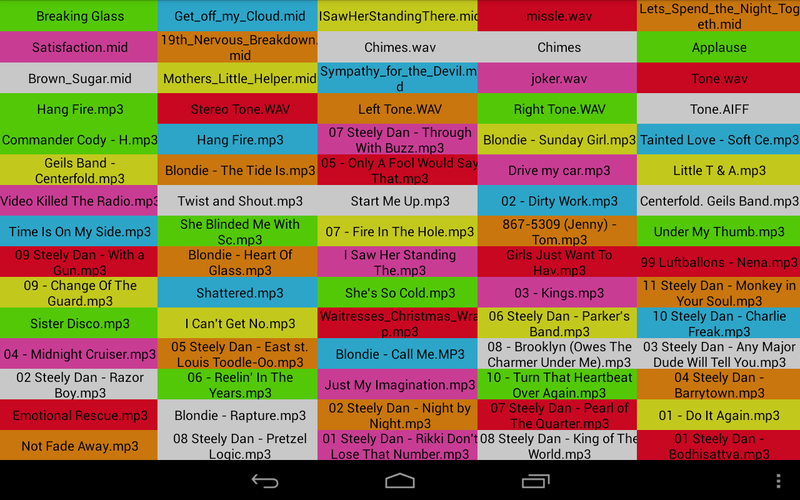 Run the Sound Byte Control app on your Android device. It will try to connect to your copy of Sound Byte and fail, because it hasn't been configured yet. 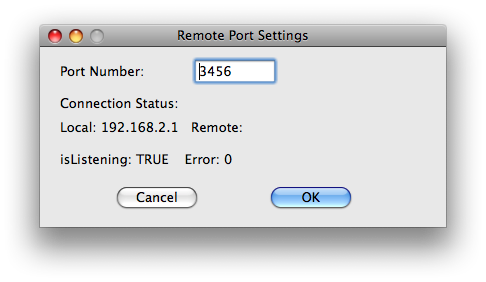 Change the IP address to match that displayed after Local in the Remote Port Settings window in Sound Byte. Change the Port number to match that set in the same window. Then tap Try Again. The app should connect to Sound Byte, and display the rack. You can tap on a cart to start playback, or to stop it. When a cart is playing, the title will be dislayed in bold. Help - Load this help page. Previous - Go to the previous open rack in Sound Byte (if you have more than one open rack). Next - Go to the next open rack in Sound Byte (if you have more than one open rack). Mute - Mute sound playback. Abort - Immediately stop all playing carts. Pause - Pause all playing carts. Do this again to unpause them. Fade - Fade out all playing carts. If you get a message saying the connection failed, you should double check the port number and IP address, then tap Try Again. Also make sure that Sound Byte is running on your computer. It is possible that the connection could not be made due to networking issues - the two devices cannot communicate with each other. Generally, you want both the desktop computer running Sound Byte and the device Sound Byte Control to be on the same network. One thing to consider - some computers have multiple IP addresses, due to multiple networking devices (WiFi, wired ethernet, etc). You need to be sure to enter the correct one into Sound Byte Control. This might not be the one displayed in Sound Byte, since it only displays one of them. The correct one is the one that is on the same network as your iPhone or iPad. You have something else blocking communications on that TCP port. Change from 3456 to another port. In general, we cannot help you with solving networking issues, you need to sort that out on your own.